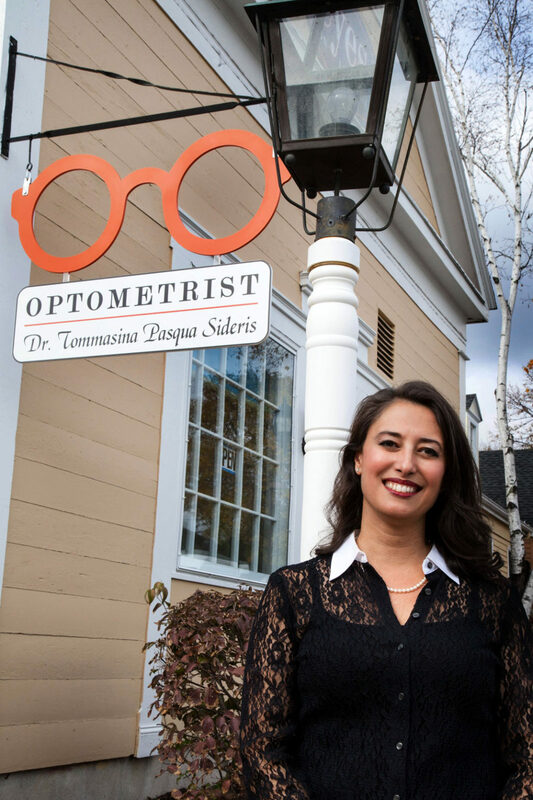 Dr. Tommasina Pasqua Sideris moved to Litchfield from Michigan three years ago, where she had six optometric practices. 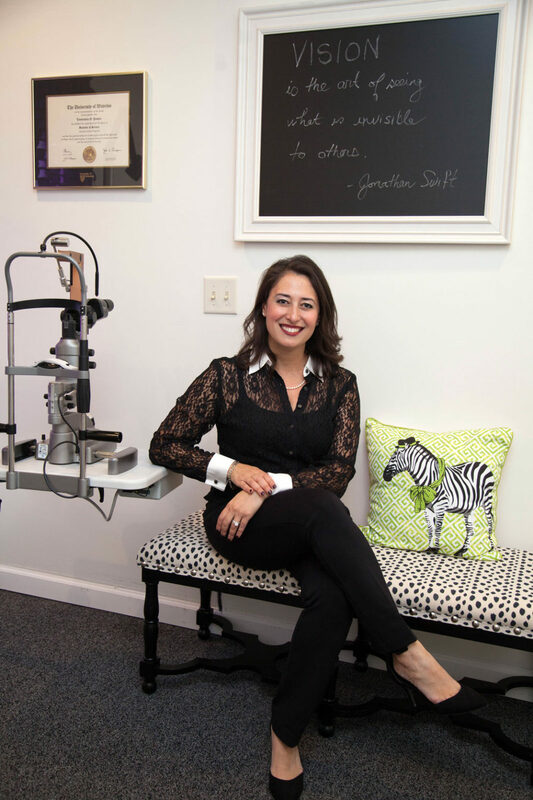 She has opened Eyes on Litchfield to bring the community individualized service and expertise in a comfortable boutique Optometrist. 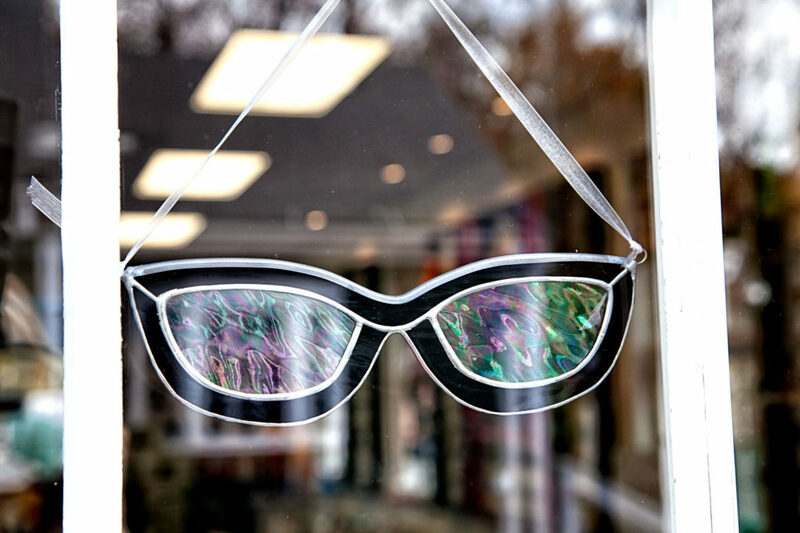 Sit at the bar while you have your glasses adjusted or repaired, or peruse the fabulous lines they carry; Tom Ford, Vera Wang, Lilly Pulitzer, and Zac Posen to name a few more widely known designers. 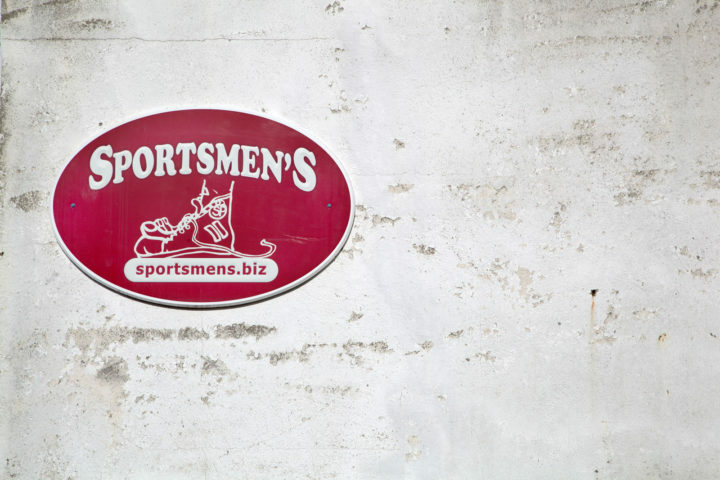 They also carry some amazing European lines that can’t be found anywhere else in the area. 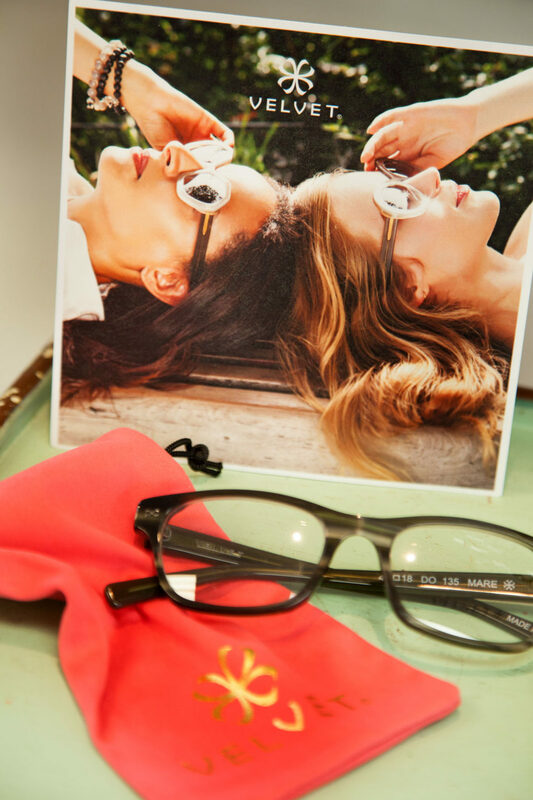 We do love us some face fashion aka eyewear, so we got straight to trying on some frames, while we asked some questions. 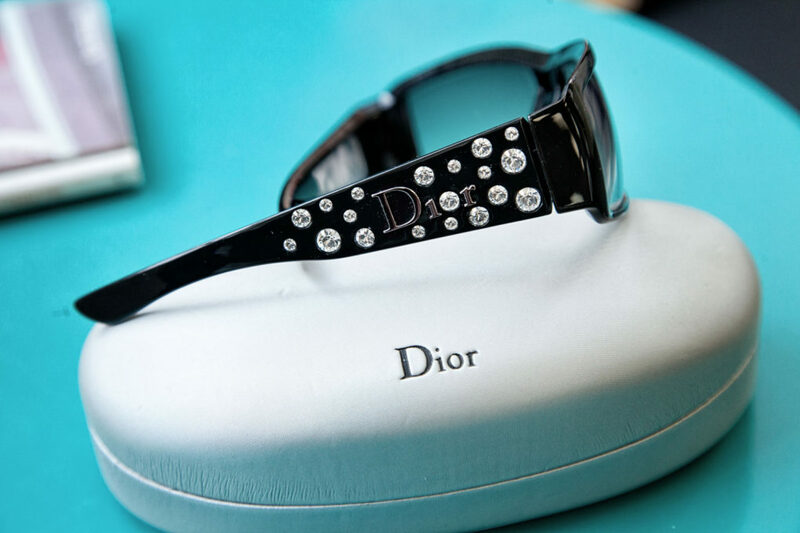 What’s trending in eyewear today? 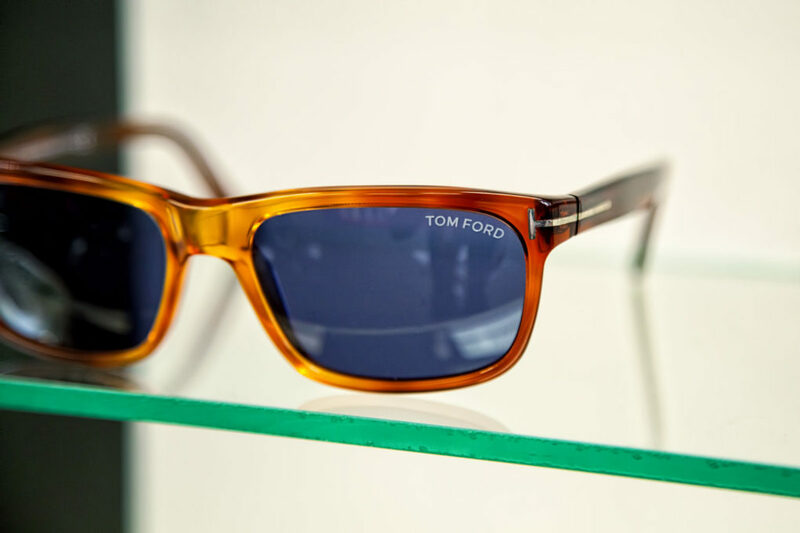 Currently, the rounder “hipster” and modified vintage styles are in. 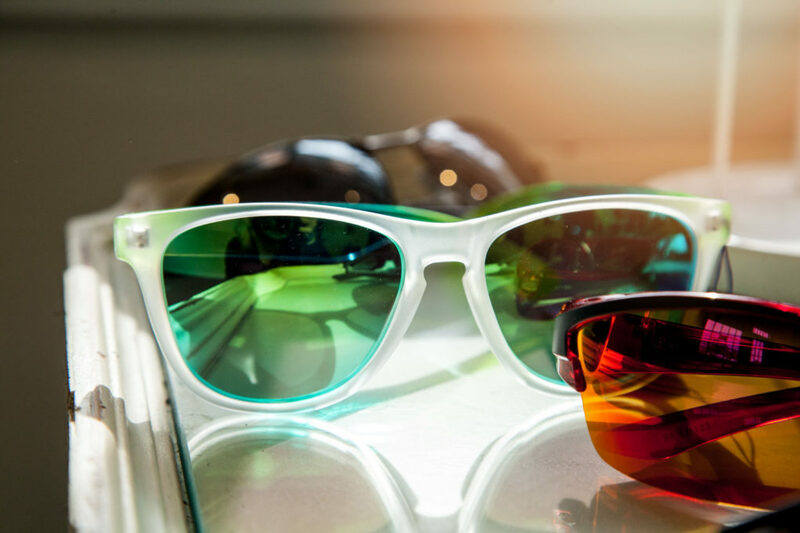 Lots of color has also been added to men’s and women’s frames. 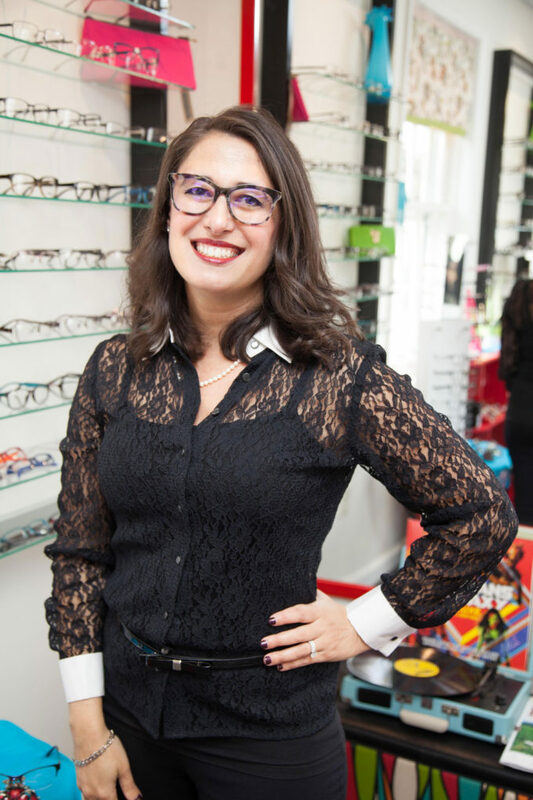 It’s no longer about just “needing” glasses, but about making them a part of your style so with the different shapes and colors, you really have the ability to show off your personality. 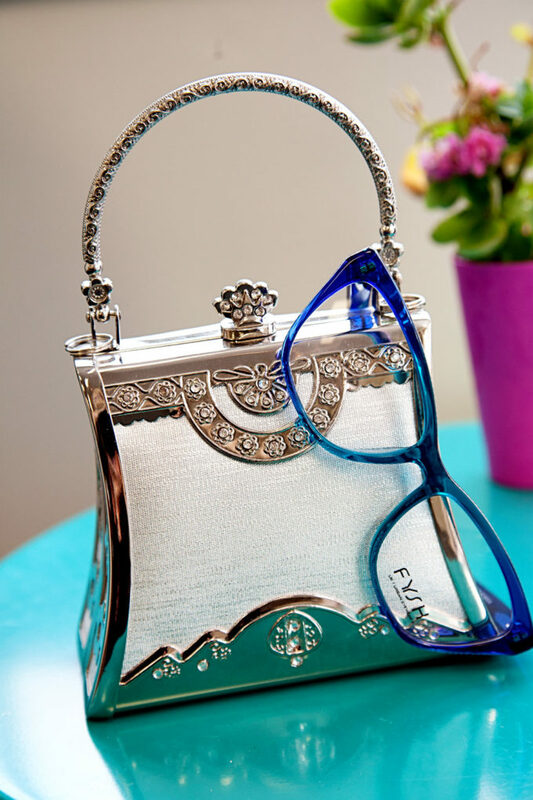 You can’t go wrong with any frame that makes you look and feel fabulous. 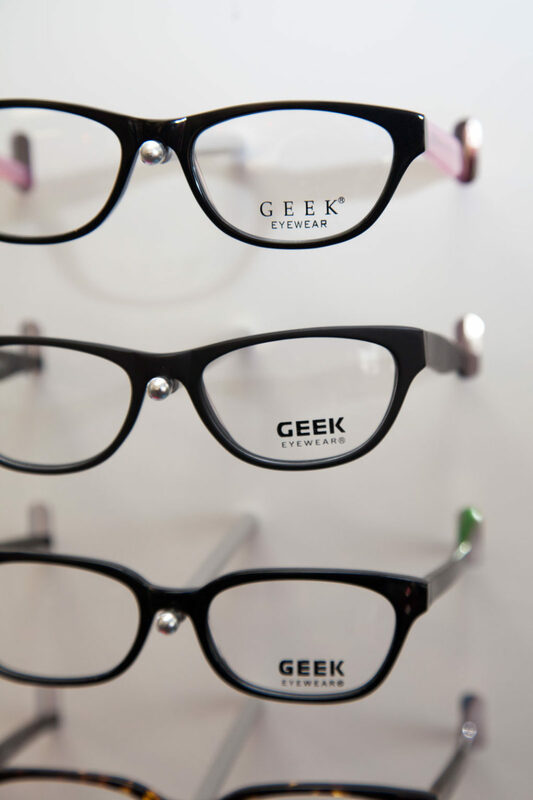 The newest in contacts would be the one day disposable lenses which come in astigmatism and bifocal powers too. 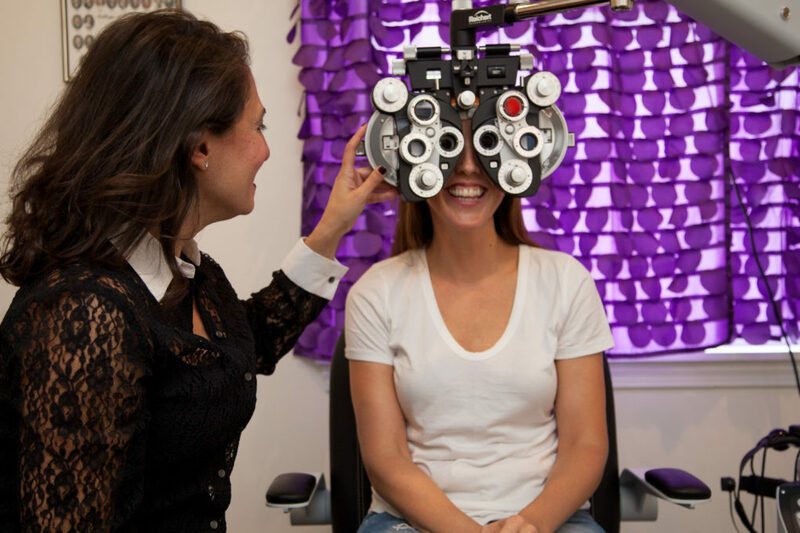 Our contact lens fittings are very specific to ensure our patients get the best material, and best wearing schedule suited for their eyes. 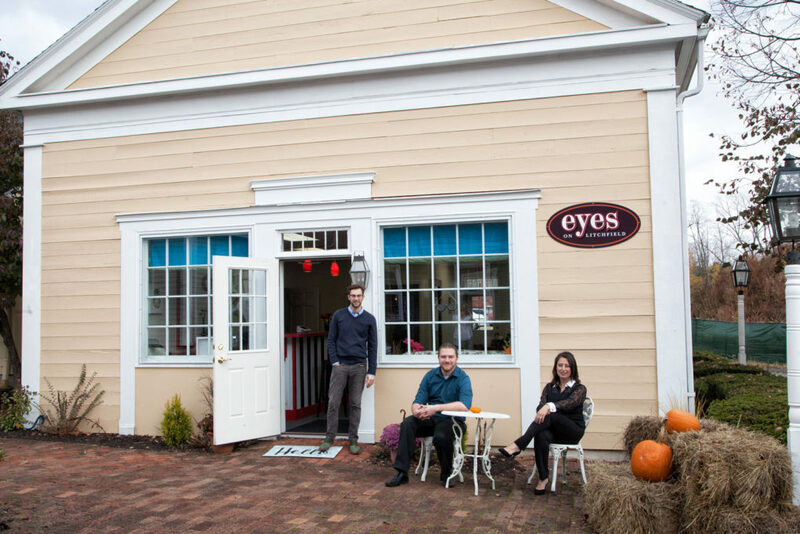 And for anyone looking to enhance, or change their eye color… we can help with that too! 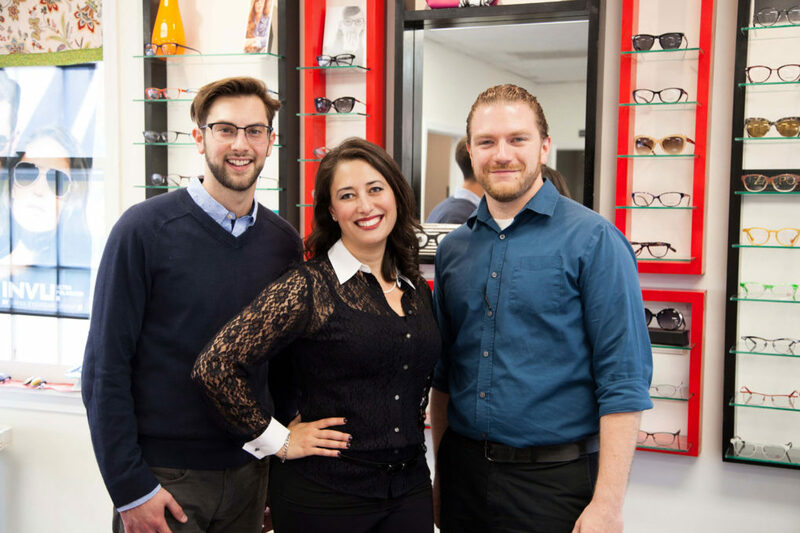 May I add that we’ve had patients who have been unsuccessful with their contacts before seeing us, but our doctor was able to successfully refit them into lenses that worked! 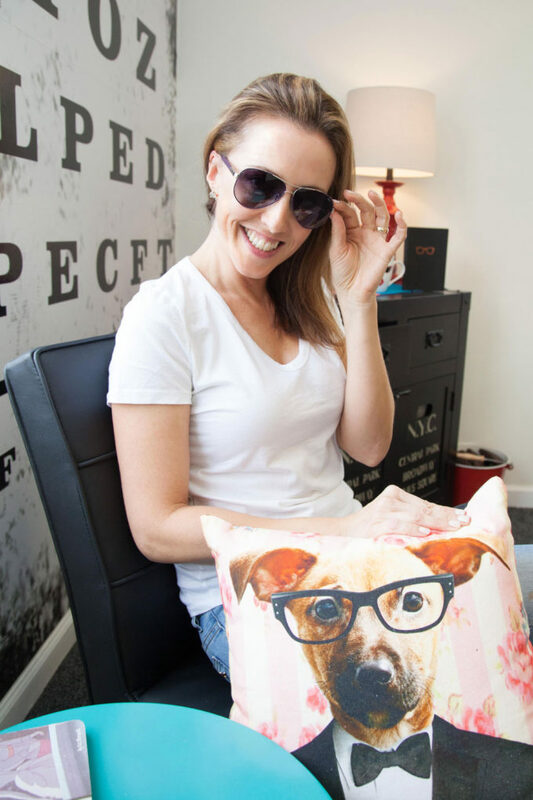 Why is your office different? 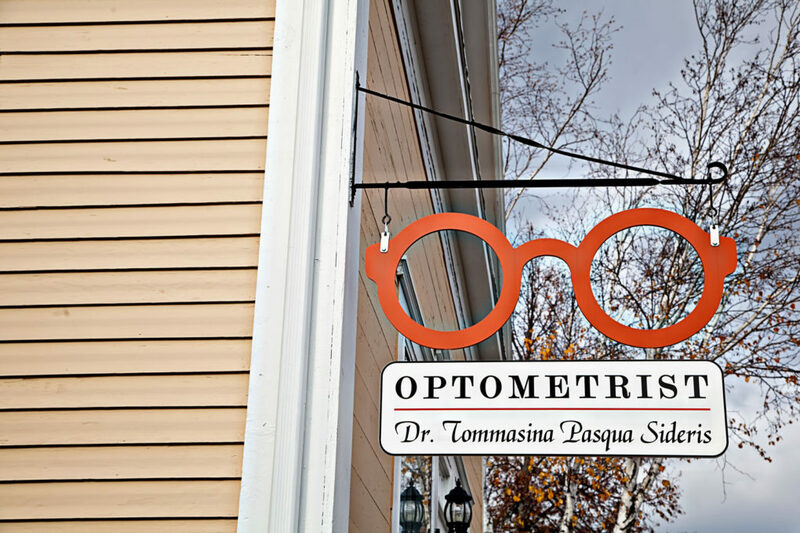 Dr. Tommasina wanted to create an atmosphere where patients knew they would be truly taken care of…a place where you would feel even better than when you first walked in. 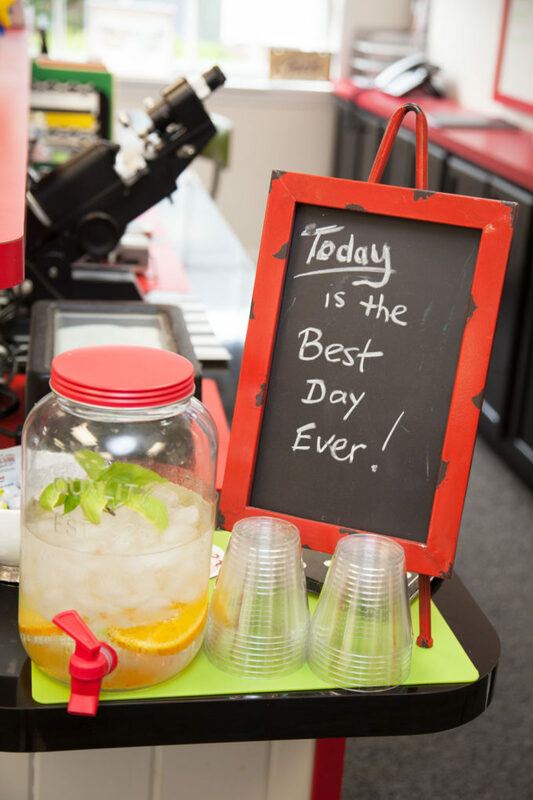 We’ve all had experiences of walking into a place and having the receptionist seem annoyed and treating you like you were an inconvenience to the office. That is the exact opposite of who we are. 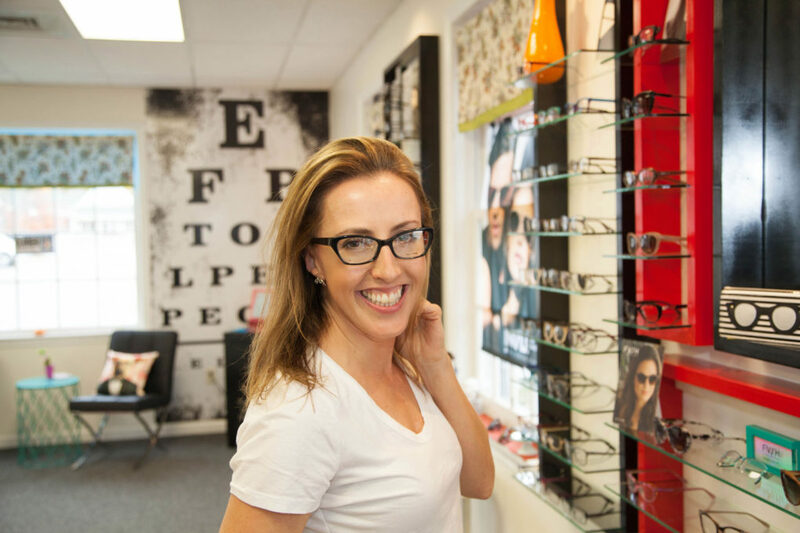 We set aside whatever time is necessary to ensure the patient’s vision needs are fully met, from having the best prescription possible, to understanding which lens design and materials are best for you, and of course, the selection of a fabulous frame! 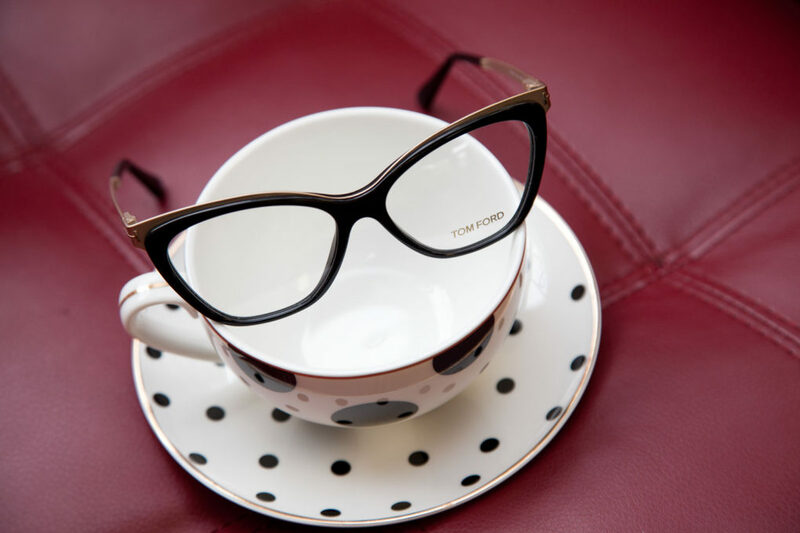 We want our patients to have a cup of coffee with us (in our cute polka dot cups) while we are helping them pick out the perfect eyeglasses. 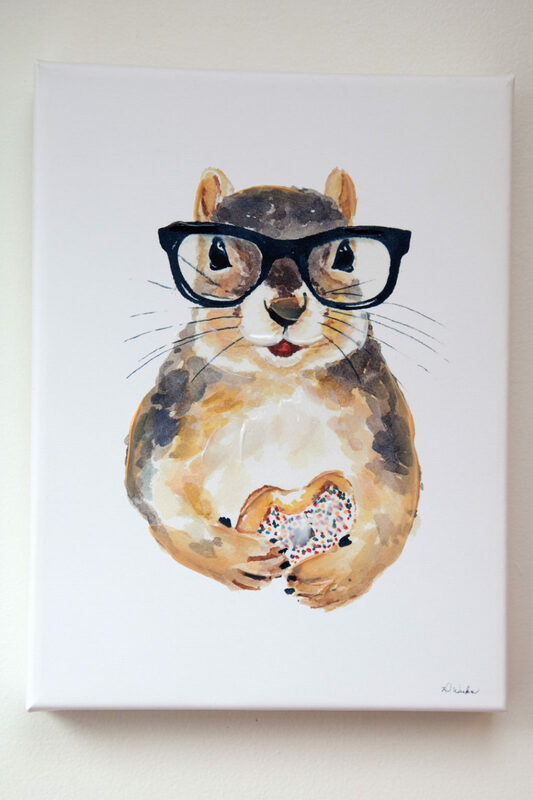 Also, we have hand-picked our frames to give you a super cool selection. We only have one of each style, to keep it unique for you. 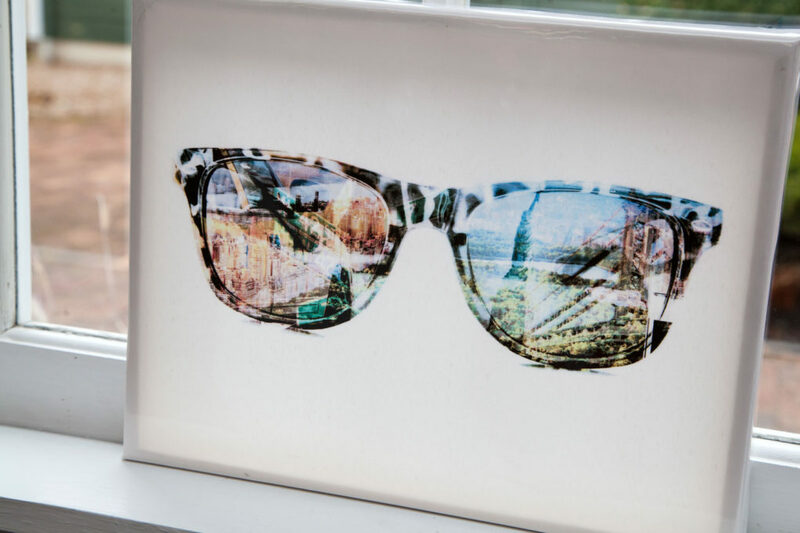 We have frames made in Italy, Spain and Germany to name a few. 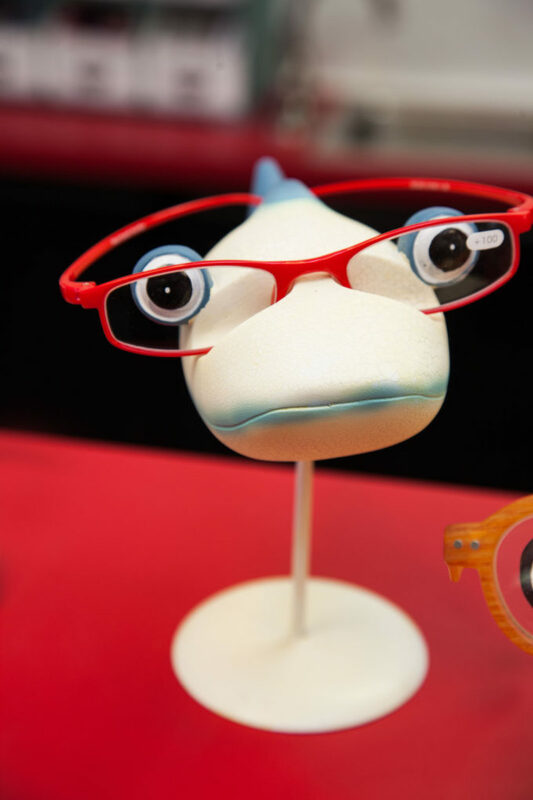 We also have an adorable line of kids frames that come with warranties against alien abductions, bike wrecks and such. 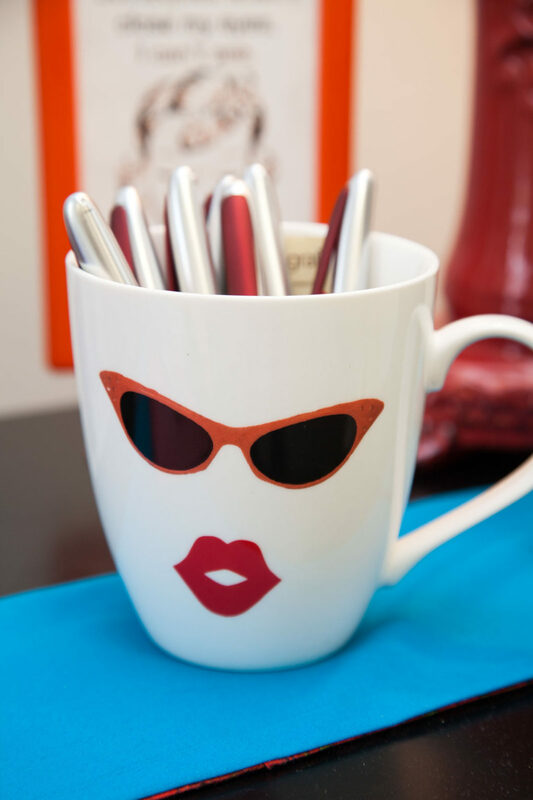 We even carry some cool, affordable lines to help with every budget. 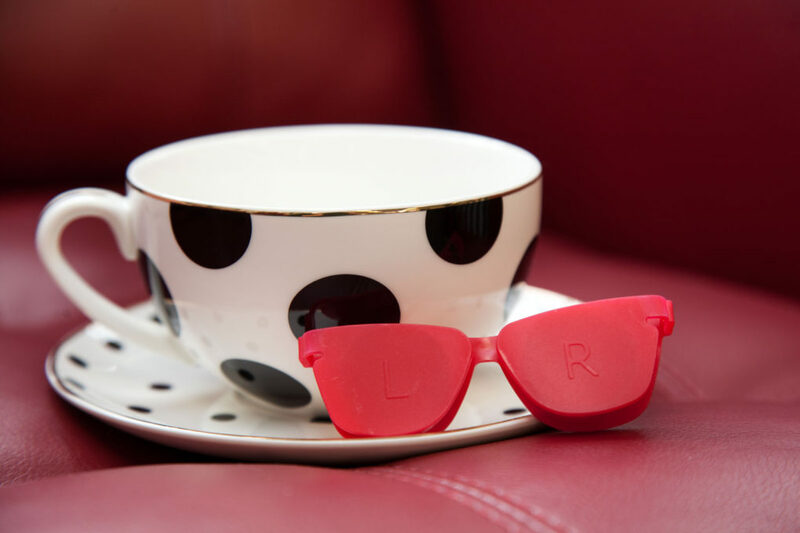 We believe life is too short to have boring eyewear! 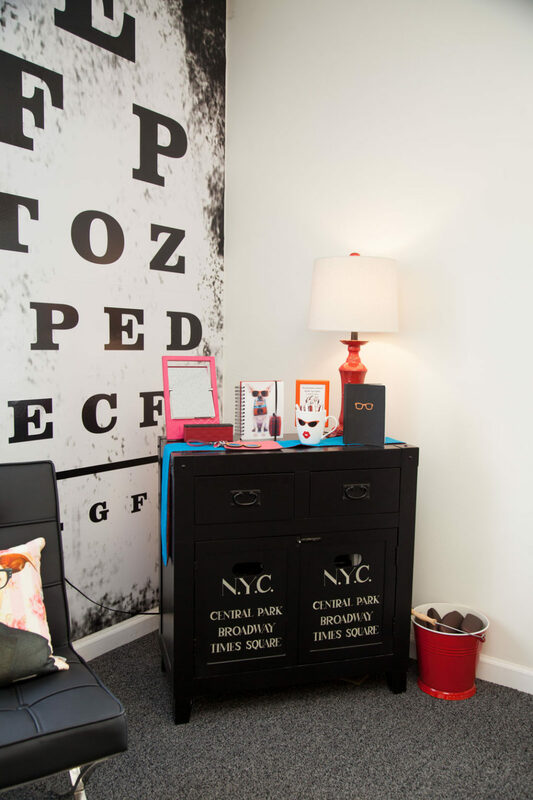 And… our office design is not your typical optometry office. 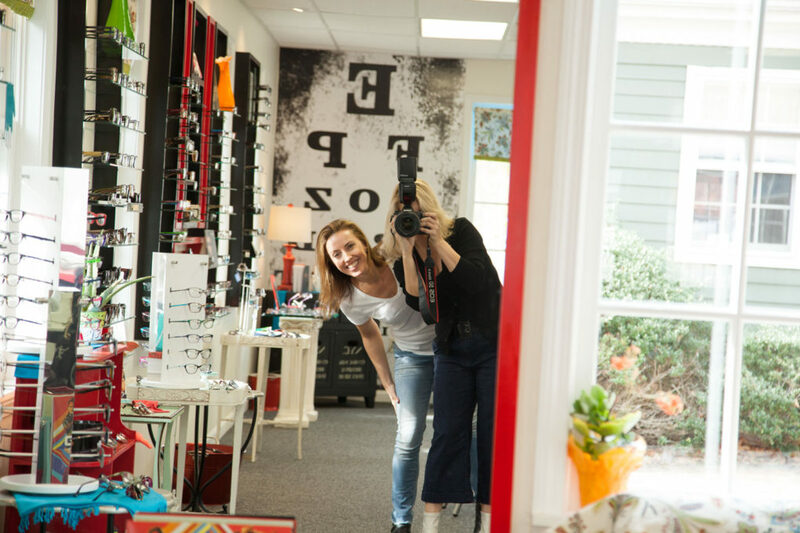 We wanted the office and optical boutique to have a fun, inviting feel to it. 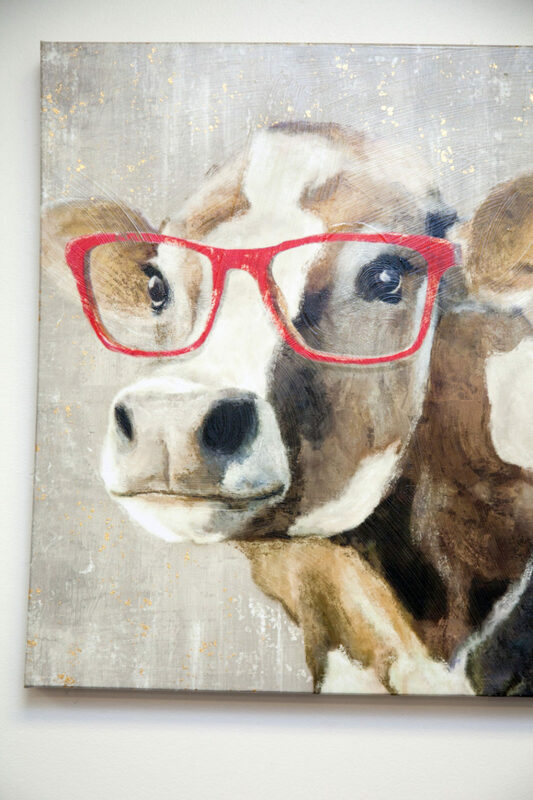 Our décor is a little quirky, but it can’t help but put a smile on your face. 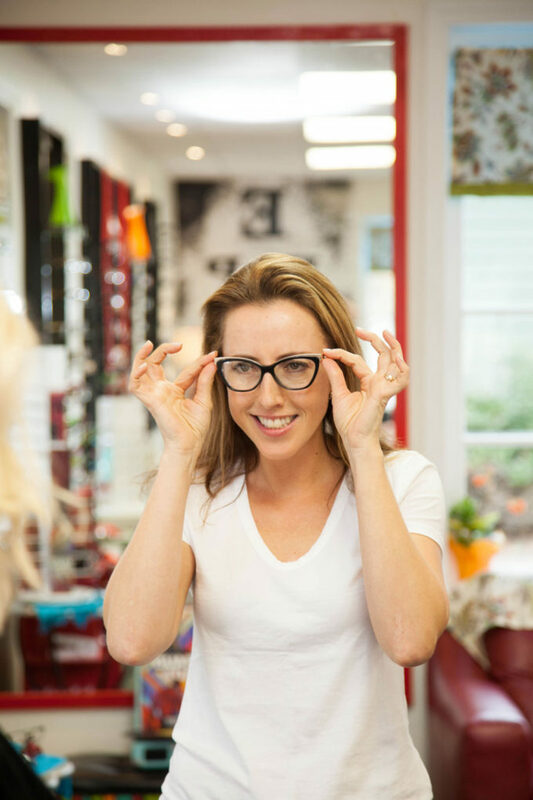 Dr. T – How many pairs of glasses do you really have? Haha. A lot. I dream about the numbers 1 and 2. Do you have any great “eye” jokes you can share? 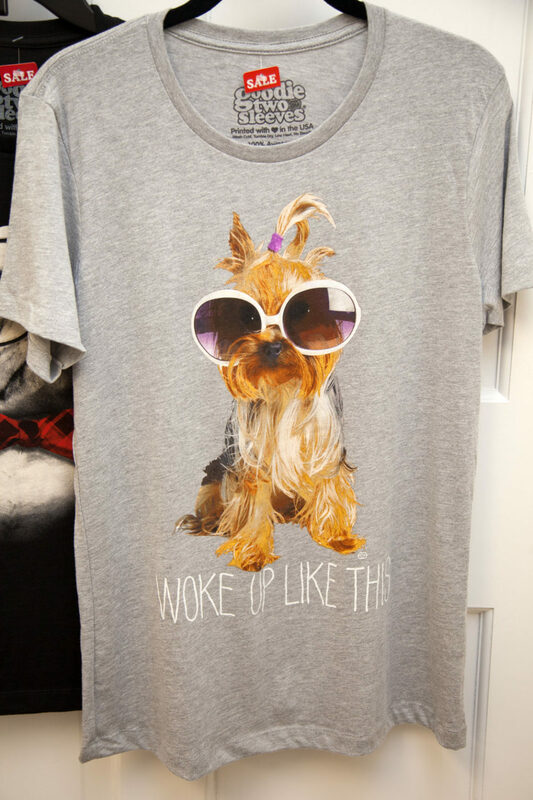 No, they are all too cornea! 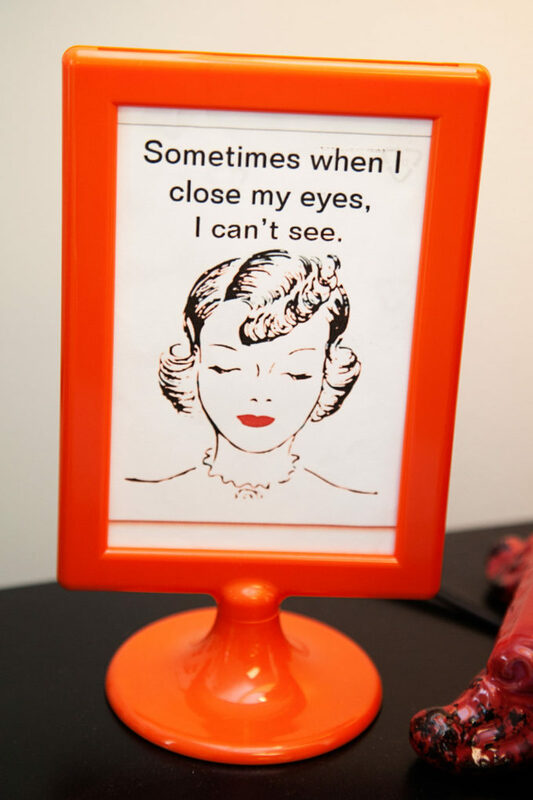 Well, we did have a guy come in wearing his wife’s eyeglasses… because she said she wanted him to see things her way. 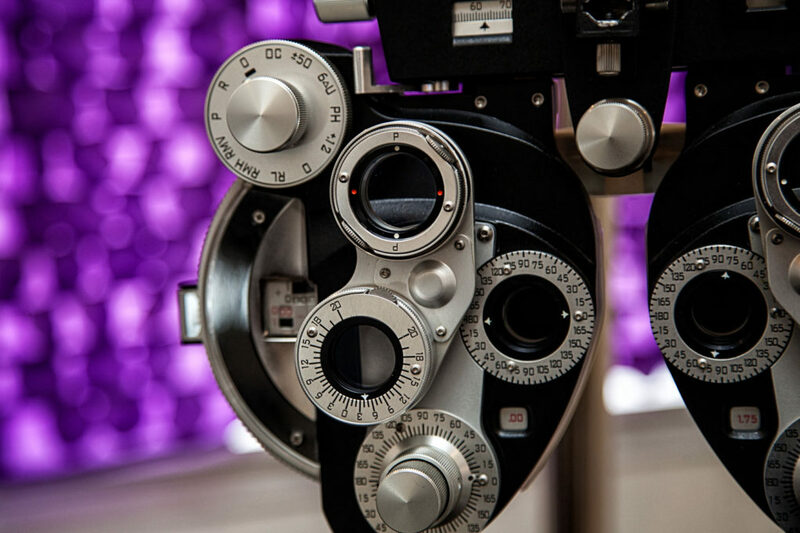 Why is it important that we get an eye exam every year? 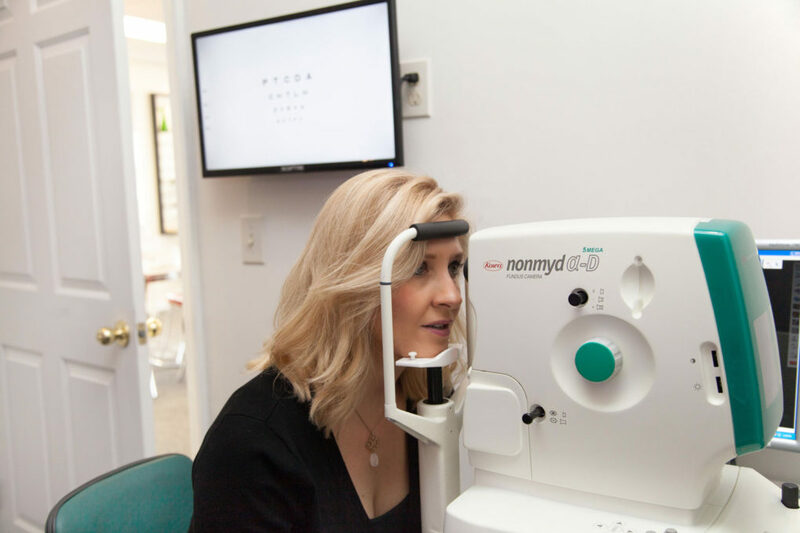 The first reason: There are some eye conditions (such as glaucoma, which is high pressure in the eye) that you wouldn’t even know you had but could be detected with an eye check up. 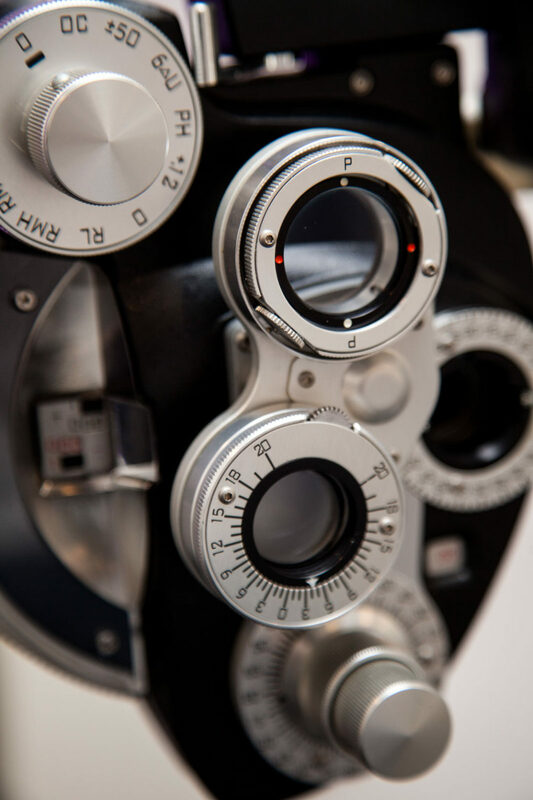 Regular check ups can prevent vision loss over time. I’ve even detected patients with diabetes who had no idea they had it. A couple of patients have thanked me for saving their life, for I saw signs of high blood pressure in their eyes and referred them to their family doctors for appropriate treatment. One man even had an eye tumor which I caught in its early stages. He, to this day, is very thankful he had his eyes checked with me for his yearly exam. The second reason: Sometimes you may not even realize how much clearer you could be seeing. I had a friend who I noticed was looking over top of his eyeglasses to see his computer screen. We did an eye exam (much to his resistance) and he was amazed at the lens design I suggested for him where he didn’t have to fuss with his eyeglasses but could just “see” without effort. He said it actually helped him be more efficient and productive at work and that the proper glasses alleviated his neck strain and headaches. 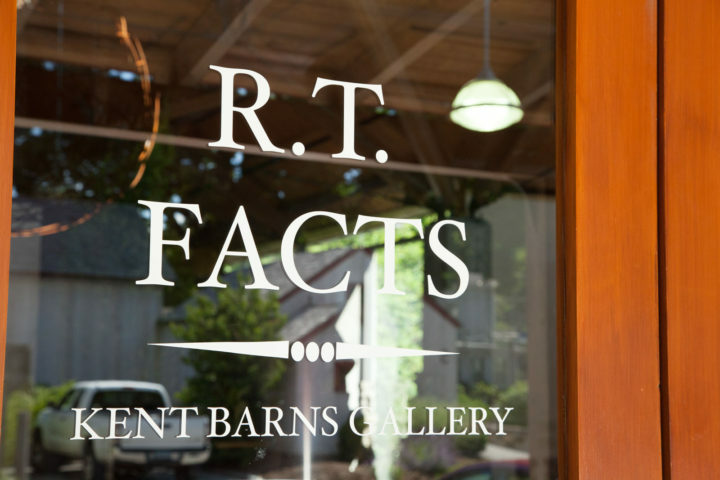 The third reason: We love our patients and want to see them every year! 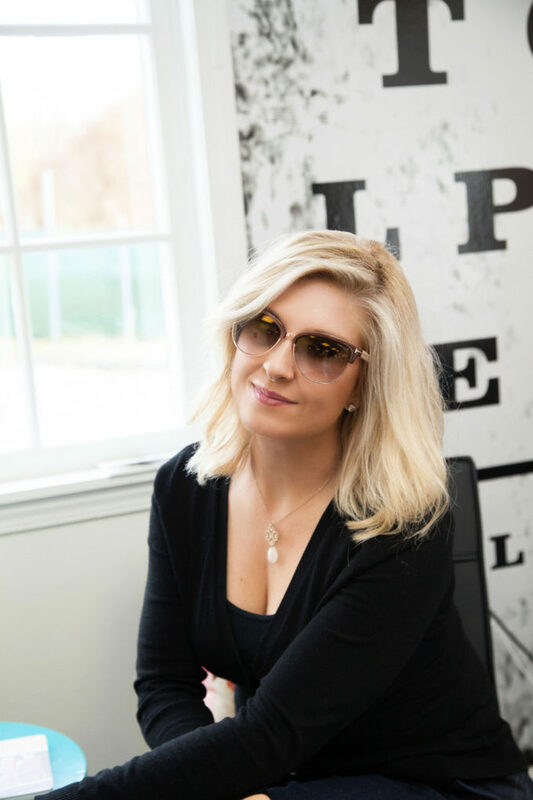 Plus, there are always fabulous frame styles coming out, so you wouldn’t want to miss out on the coolest sunglasses, eyeglasses, and lens designs to see and look your very best. 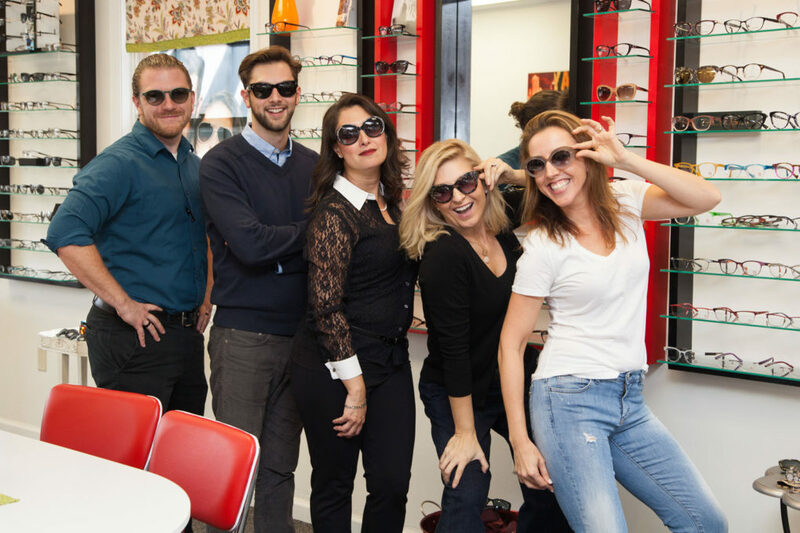 Nick showed us where the timer button was on Lora’s camera so we could all get in on a little bit eyewear modeling. 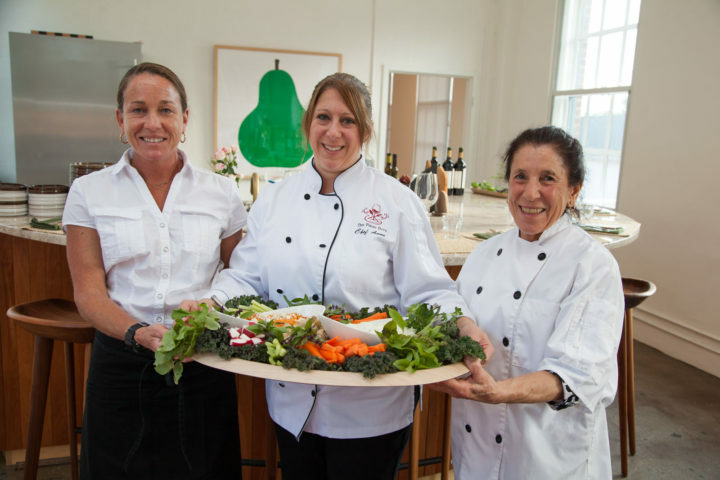 We showed them the ropes…then let them go it alone….we think they did very well.